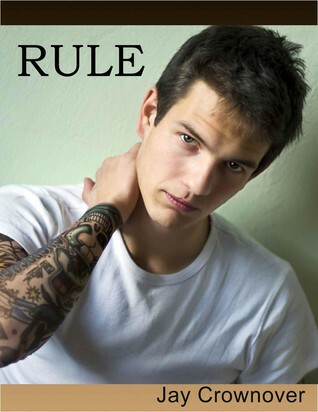 I had downloaded the sample for Rule, and after reading through it on Sunday I just couldn't help myself - I HAD to know how the story continues! So I bought the book and I'm sooo glad that I did because it was awesome! I hope I'll get around to reviewing it soon. Friday Night Edit: Okay fine. I said no more books. Have you read any of the books? And what did you get in the past week? Haha!! Sorry for adding to your pile--->NOT! Your going to love it! Enjoy, and thanks for the shout-out. Pretty When She Dies has an amazing cover - I've picked up 2 of her books, but haven't had a chance to read them yet. Here's what I've added to My Shelves. Awesome haul of books. The Abbi Glines books always seem to have mixed reviews. Can't wait to hear your thoughts on them. I enjoyed Fallen Too Far, but it was definitely steamy. More adult less young adult. But overall it was enjoyable. Rules looks intriguing as well. Great haul. My review of Fallen Too Far is here if you'd like to check it out.